Load up your family and come see just how fun and easy camping can be with this R-Pod travel trailer! 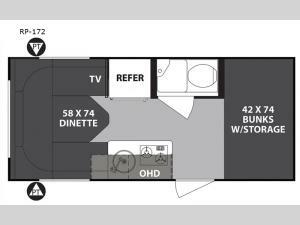 With sleeping space for four, this model is ideal for any couple or a family with children. This unit includes bunk beds with storage for extra blankets or board games. 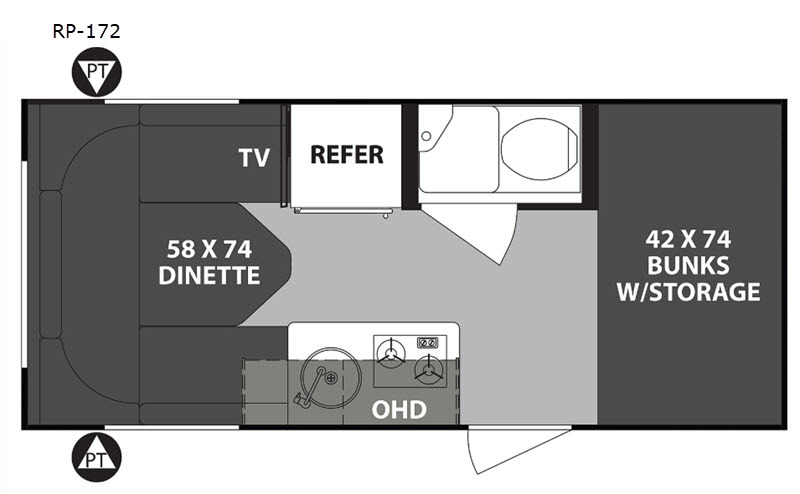 You will love how you can easily convert the large U-dinette into additional sleeping space as well. You will find that the kitchen is equipped with a two burner cooktop to fix your favorite meals while away from home, plus there is a convenient wet bath! This travel trailer also features a pass-through storage, so bring along extra lawn chairs or the fishing poles!